Scripture is filled with an incredible variety of length of song – some that echo the height and breadth like Psalm 119 and others that capture the inexpressible joy of exclamation like Revelation 4. Scripture models a tremendous diversity in terms of what songs express. Sometimes songs communicate the grand scope of redemptive history like Psalm 136 and sometimes they express simple, but profound praise like Psalm 117. It’s always surprising to me that the Church doesn’t do a better job of using song in all the ways that scripture does. Especially when it comes to sticcatto songs of praise. While worship choruses have received a grand thumping in recent years I’ve grown more convinced of the wisdom and benefit of using shorter songs in worship. They are easy to learn, provide great balance to dense hymnody, are more accessible for an intergenerational congregation, and can help with transitions in the service. They also exist across the spectrum of worship and music styles. Please also check out the newest Cardiphonia compilation with 27 new songs for liturgical worship. Here are three ways I’ve used shorter songs in worship. 1. Song of Ascents – Each week our worship begins with the same song that we call our ‘Song of Ascents’. This has been a great way to begin worship that focuses the scattered hearts and minds of God’s people arriving to church. We are distracted, we are preoccupied…we need something simple and heartfelt to gather our minds and hearts into worship, into community, into gospel refreshment. I typically use the same song for at least 4 months…changing it to reflect the major seasons or cultural shifts (Advent, Easter, Summer, Fall). 2. 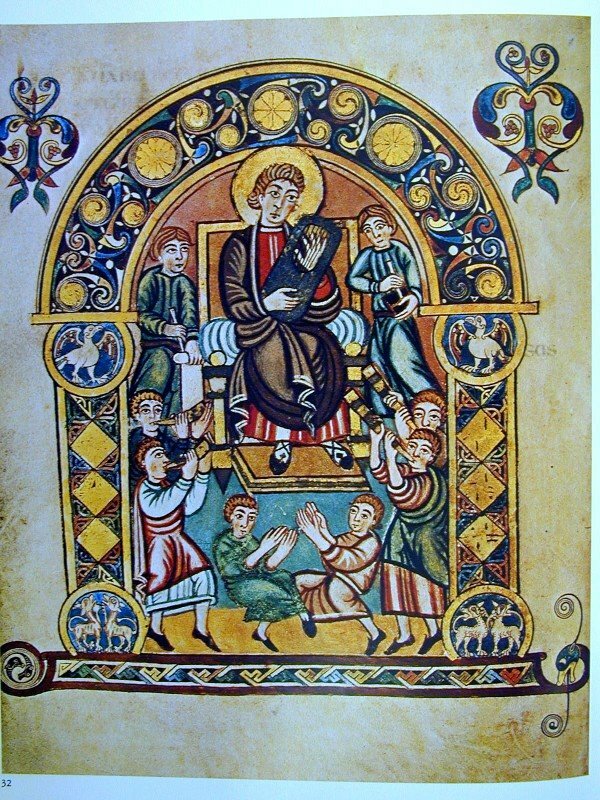 ‘Service’ Music – Many of these songs have been sung in the church for a millenia and can be a wonderful means to connect with the historical church. They also reflect the biblical wisdom and practice of doxology. In the early church it was traditional to finish singing or praying the Psalms with a Christian, trinitarian doxology. 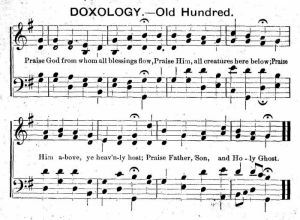 Many people will be familiar with singing either ‘the’ Doxology or the Gloria Patri – both are great ways to invite your congregation into a sung ‘amen’ for congregational prayer. Recently many of these more ‘liturgical’ and traditional forms have been given wonderful treatments by contemporary artists. David Crowder Band has a great version of the Doxology, Keith Getty has a version of the Kyrie, Red Mountain Music has a beautiful setting of the Sanctus and Matt Boswell has a newer take on the doxology among some others listed below. mp3 | leadsheet | band arr. 3. Biblical Songs – It’s interesting that in the beginning of the praise and worship movement many of the best songs were simply short pieces of scripture rendered to song. Here are some of the best examples I’ve found that can be used anywhere in worship. If I plan a service that is particularly heavy in long hymns I will often pick one of these to provide a balance. Taize Music has some of the best examples of this kind of worship music. If you have any other songs I can add to this list please send me a message. Great stuff! I’m also wondering about short songs that can be used for “prayers of illumination.” At Resurrection Pres, we have been singing 1 verse every week from Getty’s “Speak O Lord” as a prayer before the sermon. I think its starting to wear out though and I’m looking for little songettes that speak to listening to the word. Gray, that is a great idea. I’ll dig around. Let me know if you find something. Fantastically useful post! Unless, you work for a Baptist church like me, I suppose. I really agree that praise songs have taken a beating, and short choruses are incredibly utilitarian. Especially when no hymnals or printing services are available (i.e. worshiping in secret), knowing a simple four liner like “Here I Am to Worship” or “I Love You Lord” can enable a groups of strangers to sing together. I hope to someday be in a situation to make better use of the kinds of music you link here. Thanks so much for this page. I am praying about what doxology for our church to use and this page and your thoughts has been very helpful!